Your golf clubs need a reliable mode of transportation. Not every golfer has the same needs when it comes to this essential piece of equipment. Some golfers prefer to walk, some to ride, and some use a push cart. It’s important, therefore, for a company to offer a bag covering all of these needs. 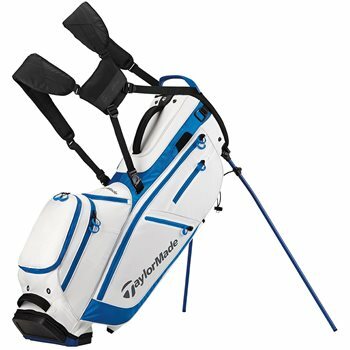 The TaylorMade FlexTech golf bag series offers that and then some. 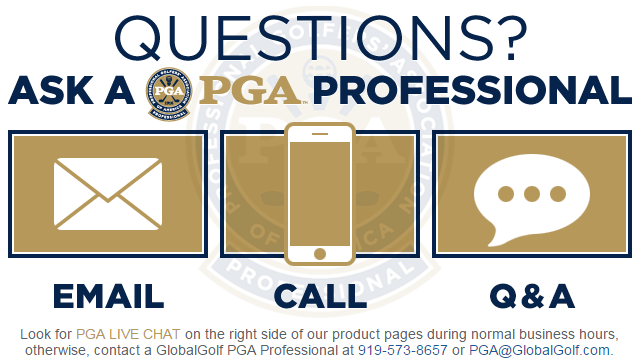 A closer look at each model reveals which bag is best for each type of golfer. Each new FlexTech golf bag features a hinge in the solid bottom. This feature allows the bottom to flex when the bag is tilted, opening or closing the stand. The new stand system keeps your clubs from crowding each other, making it easier to pull the club out. This design also makes transitioning from walking to using a pull cart or riding virtually seamless. The FlexTech Lite stand bag is designed for the golfer preferring to walk. Weighing 4.3 pounds with an 8.5-inch top, this bag has amenities geared toward the walker without any unwanted extras. A 4-way top allows clubs to be reasonably organized without the extra added weight of a 14-way system. Full-length dividers keep clubs from crowding together too. The FlexTech Lite has 8 pockets, including a water-resistant, micro-suede lined valuables pocket. An easily accessible, insulated water bottle pocket makes quenching your thirst a snap. Finally, added comfort and stability while carrying are provided thanks to the multi-material, dual density comfort strap. The FlexTech Carry bag offers a few more options for the player who walks or uses a cart. The bag has a 9.5-inch top and is a slightly heavier 4.9 lbs, adding the convenience of a large internal insulated cooler pocket to hold extra beverages. 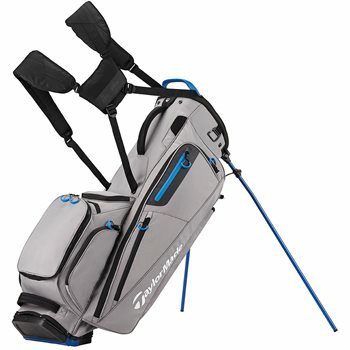 The FlexTech Carry bag has a total of 11 pockets and a 5 way top for a little extra club organization. Full-length dividers and a water-resistant valuables pocket are also found on the FlexTech Carry bag. The FlexhTech Carry bag is the most versatile of the 3 FlexTech golf bag models. It performs well being carried or attached to a cart. Do you prefer to ride or use a push cart when you play? Then the FlexTech Crossover bag is for you. The FlexTech Crossover does have stands for use during range sessions or when unloading the clubs from the car. 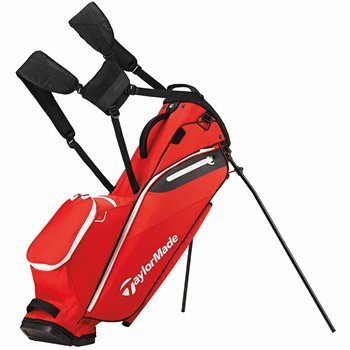 With a 10” top and 14-way dividers, this bag is the heaviest FlexTech golf bag at 5.5lbs. More features of the Crossover include 10 pockets and quick release, dual density strap. A large, insulated cooler pocket and easily accessible water bottle pocket are also featured. All three models are available now in a variety of colors. Check them out and get the best one for you.